While I purchased car dice from the geek store on Saturday, Sidney purchased a tiny hand. She then proceeded to freak me out with it multiple times (it can be quite creepy) and tried using it in her normal activities, such as eating a bagel and drinking wine. 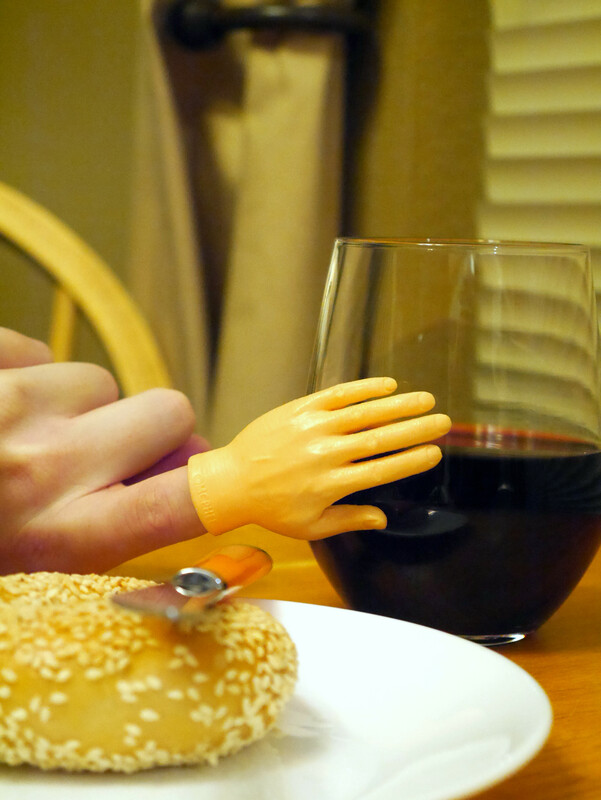 By the end of the night I was happily high fiving the little hand. 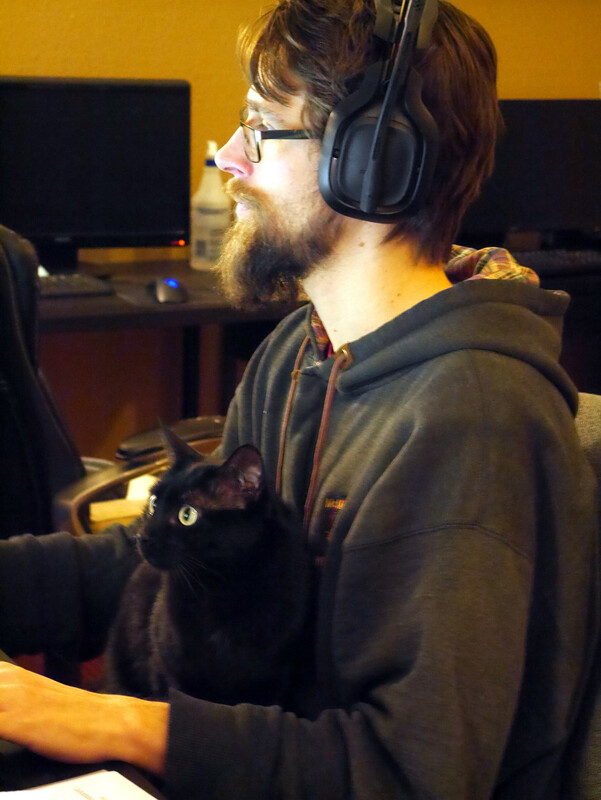 Pippin hopped up on Gene’s lap, somewhat of a rarity, and proceeded to watch him play computer games. It was pretty cute. Recently he’s been sitting in front of Gene’s computer screens so Gene puts on “cat” videos for him (videos of birds eating bird seed mostly). We’re trying to get Pippin out of that habit though because it’s annoying, so this is much better. 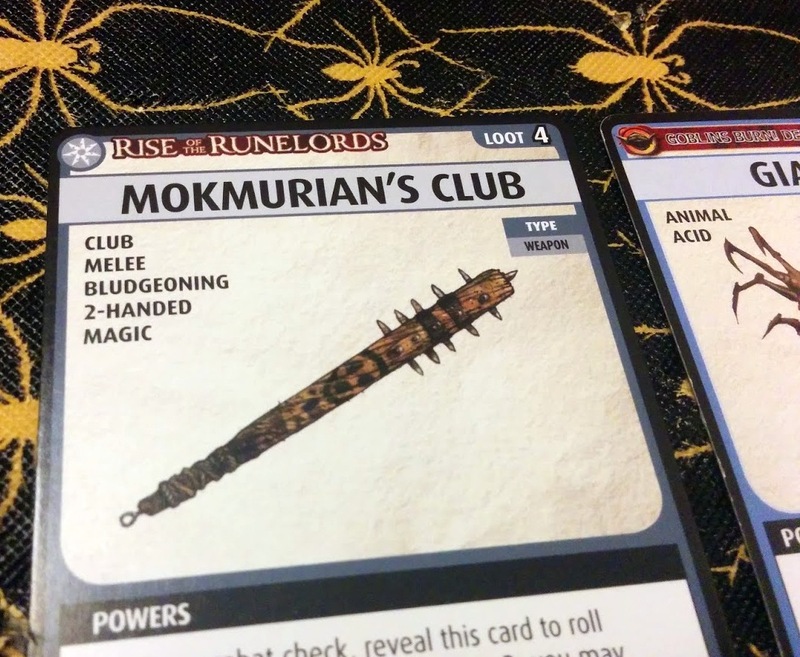 We played more Pathfinder and I FINALLY got Mokmurian’s club, a weapon I had in the previous game and one I was beyond thrilled to get. My barbarian character is now complete! 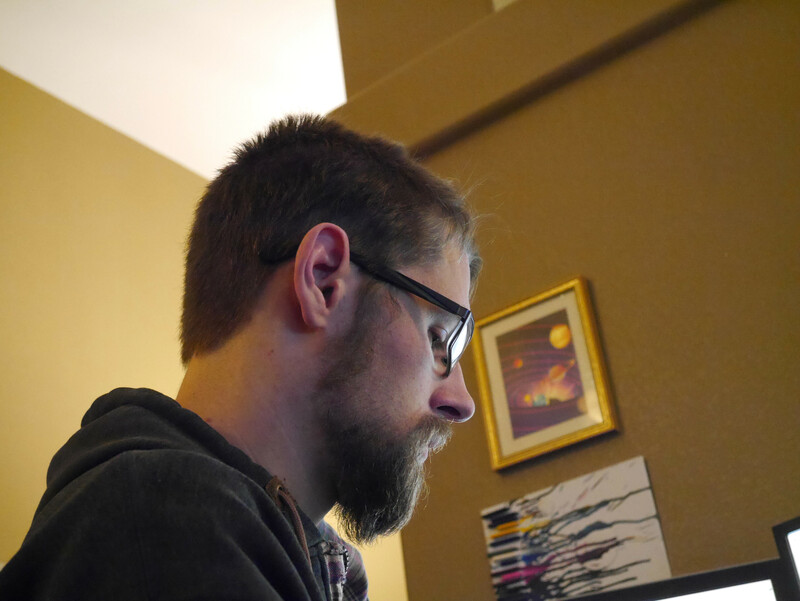 I gave Gene a haircut. The weather was warm enough for us to go outside and get his hair chopped off. What a difference! We also went on a walk for the first time in a couple months. Winter really gets to me, thank goodness we are over the darkest days (it’s light now when I leave work!). 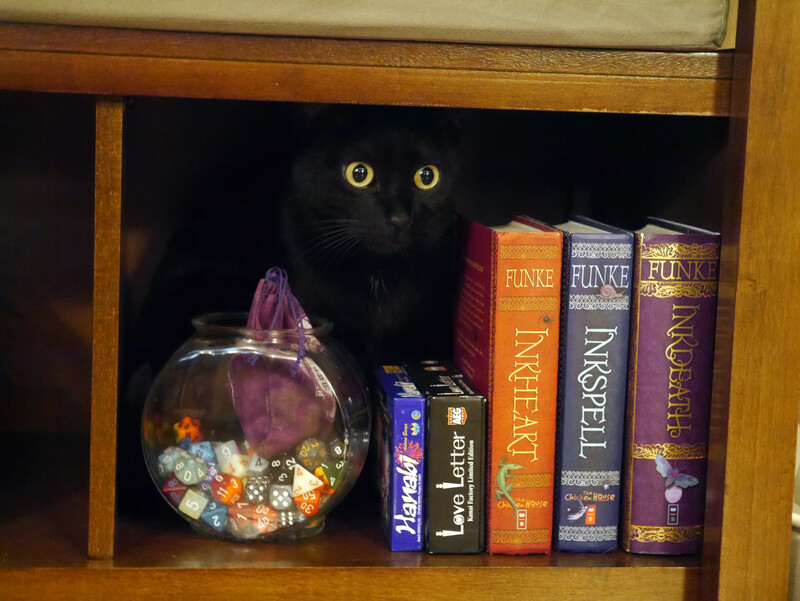 Pippin decided to hide out in one of the bench’s cubbies. Didn’t knock over one thing getting back there or getting out, what an agile little guy. Amazing pics! That little yellow hand cracks me up.